No more toys for fat kids in San Francisco, where the board of supervisors voted this week to essentially ban McDonald’s Happy Meals–at least in their current form. The ordinance marks the first time a major city in the U.S. has banned restaurants from offering toys with high-calorie meals that contain significant amounts of fat and sugar. The measure doesn’t ban toys from being served with all meals. Instead, restaurants can give toys out with meals if the food and drink combined add up to less than 600 calories and under 35% of the calories come from fat. 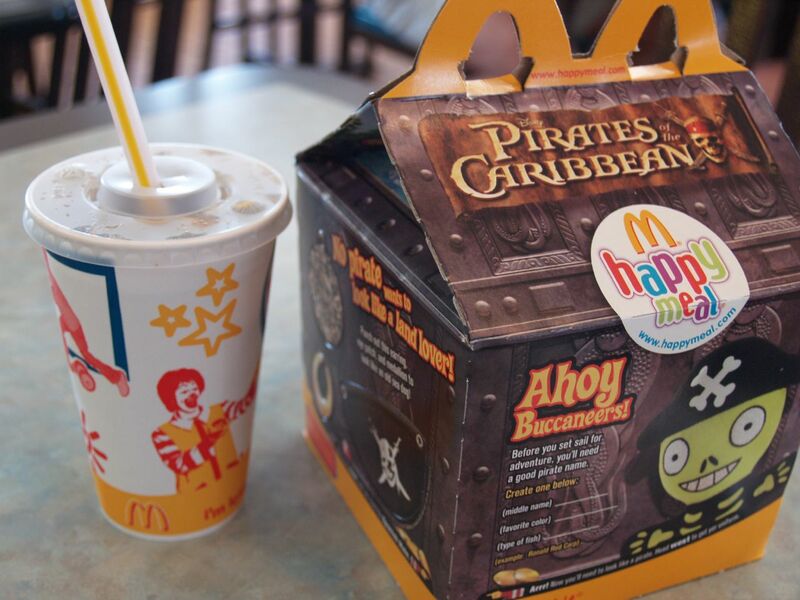 Not all of the restaurant’s menu choices are that high in calorie content, however–so McDonald’s could ostensibly tweak its Happy Meals down to size before the ban goes into effect in December 2011. San Francisco may be the first major city to ban toys with high-calorie meals, but it isn’t the first area in California to have such a ban. Santa Clara County banned the toy and unhealthy meal combo this past spring. McDonald’s may not be worried yet–San Francisco is known for being health-conscious–but it might want to start thinking about the future of the Happy Meal. MickeyD’s could take some lessons from In-N-Out, a popular fast food chain in the Western U.S. that seems to do just fine without using toys to lure children.